Online safety expert and digital media veteran Catherine Teitelbaum is Chief Safety Officer at ASKfm. In this capacity, she works to establish innovative safety guidelines and user protections designed to create a safer online community, as well as oversees all safety-related product, policy, and operational initiatives for the global ASKfm user community. 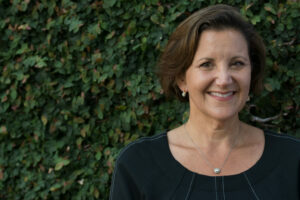 An established change-agent and pioneer in the realm of digital safety, Teitelbaum has served as a key contributor to several prominent international committees and taskforces, including the U.S. Department of Commerce National Telecommunications and Information Administration’s Online Safety and Technology Working Group (OSTWG) and Harvard University’s Berkman Center Internet Safety Technical Task Force (ISTTF). She has also served as the Vice-Chair of the Family Online Safety Institute (FOSI) and provided testimony before the Congressional Child Online Protection Act Commission.